There are some things that Cycle Chic love just a little bit more. 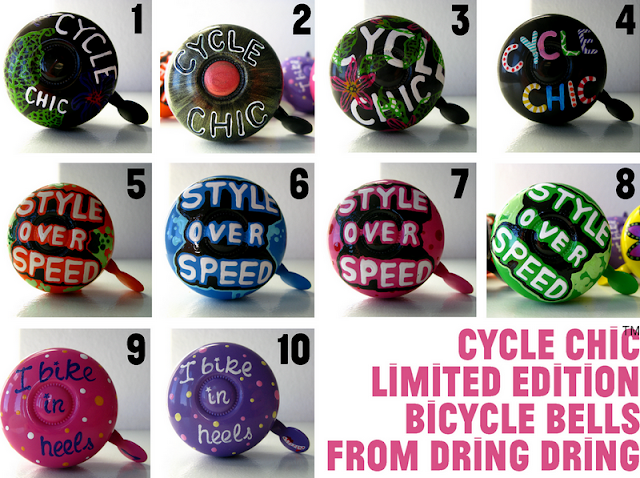 The brilliant bicycle bells made by Dring Dring, out of Montreal, are no exception. We've been chatting back and forth with Annie, who owns Dring Dring, for ages. About collaborating, sure, but generally just big, wet, mutual kisses of affection back and forth across the internet. 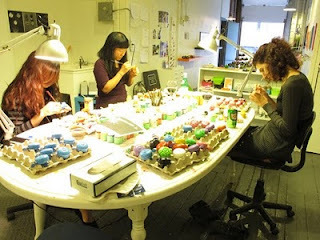 Annie's Dring Dring take large and sturdy metal bicycle bells and hand-paint them in her studio in Montreal. A team of artists create an ocean of cool designs on the bells. Indeed, one look at Annie's website and you'll see that fantasy really has no limits. There are some products that just sing Cycle Chic and these bells are doing so at the top of their voice. I love not just the bells but some of the creative ways they package them. Like the cupcake [below left] and the turtle [below right]. The bells sound like bells should sound. A bold and yet dreamy 'dring dring' ring. The kids here at Cycle Chic headquarters seem to love the sound because they keep ringing them at all hours. Here are a couple more bells that we have here at CCHQ. So simple. So elegant. Check out DringDring's online shop to see what's on offer. The bells are coming to this side of the Atlantic and will soon be available - if not already - at our friends in London - Velorution. Annie is indeed a sweetheart and her bells add a touch of class to any bicycle. 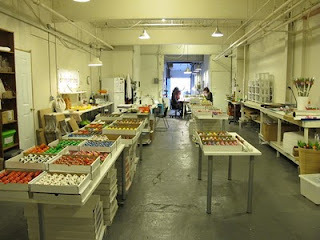 If you're in Calgary, pop by, we have lots in stock. I'll send it tomorrow, Theodore! Love number 9 and 4 - I love them all! I love the turtle! Thanks for sharing this!